New York was one state that “considered” online poker regulation in 2015, if you can call a last-minute bill a consideration. The only thing that the bill really accomplished was to keep the topic alive (barely) for another year. 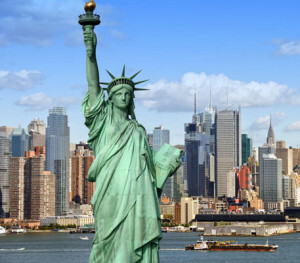 While many don’t believe that online poker will pass in NY in 2016, the chances are not zero. With that in mind, here are three things that NY lawmakers can do to improve chances of iGaming regulation passing in 2016. First, those submitting an online poker or iGaming bill need to present a version of legislation that covers most, if not all, of the major points that should be address by such a law. California is a prime example of how incomplete legislation will lead to more problems down the road. Pennsylvania presented a comprehensive bill that covered most major areas of concern including taxation, licensing, administration, etc. Failure by New York to do the same will likely result in a bill not even coming to a vote in committee. One thing that boggles my mind is when a state submits a bill for any matter with so little time that you know it has no chance of passing. Sometimes, this is done to appease certain stakeholders that support a matter but that is not the case in New York. So far, we are not seeing an overwhelming desire to regulate online gambling and the matter has received very little fanfare when mentioned. Part of this is because lawmakers knew that there wasn’t enough time to thoroughly examine the issue. That why in 2016, any legislation should be submitted early in the session if not at the begging of the year. Don’t wait until May or June and then wonder why lawmakers aren’t talking about online poker. It has been proven by New Jersey that the best way to ensure success for iGaming is to include online casino games. Taking the Nevada approach will still generate revenue, but not enough to make it attractive to lawmakers. Another addition to the bill in 2016 should be Daily Fantasy Sports or DFS. DFS is the big buzz in gambling and inclusion will ensure that lawmakers take a serious look at the matter. A bill that includes general iGaming, online poker and DFS could present enough potential revenue to become a viable consideration by lawmakers and could get the ball rolling. Tagged New York iPoker, New York Online Poker, NY iPoker, NY online poker. Bookmark the permalink.